In this detailed guide to dropping fat and boosting health we show you how to meal prep for weight loss. The journey to healthy weight loss, good dieting and a happy mindset isn’t plain sailing. But with the right steps and clever planning you can make the journey that little bit easier. That’s where meal prep for weight loss comes in. Meal prep is short for meal preparation. It’s simply the process of cooking and preparing a batch of meals ready for eating later that week. By prepping food in advance you’re less likely to drift from your diet. 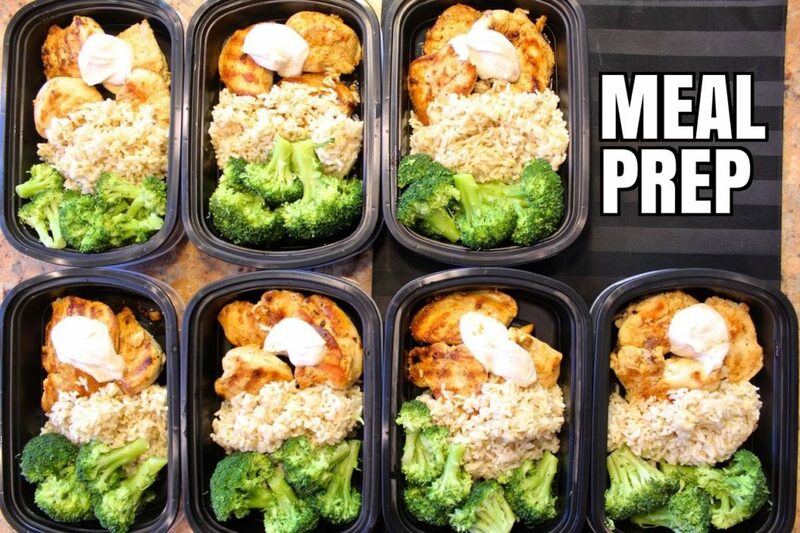 Meal prepping isn’t just for the pros you see on Instagram or in the magazines. Many women have seen success using a meal prep approach – not just for weight loss but muscle gains and athletic performance too. Meal prepping is a convenient and efficient way of sticking to your diet. It reduces the need to cook every day and helps fight the temptation to stray from the plan. All in all it’s a great way of achieving successful weight loss… and staying lean too. According to scientific research, most diets fail because of a lack of adherence. There’s only so long you can remain motivated on a weight loss diet before a lack of results or planning leads to an early check out. And making chicken, rice and broccoli every day is as boring as actually eating the stuff! Eventually, you feel guilty that you can’t adhere to your diet and before you know it you’ve jacked it altogether and end up sticking with your daily pop chips and sweet treats diet. You leave the house but you’ve not planned your lunch. You know it needs to be a clean eating meal that’s low in calories and high in nutrients. The problem is that with only 30 minutes to grab and eat lunch you’ve got limited options. Instead of controlling your diet you go with the only lunch available – a high calorie sub that ruins your calorie intake for the day. It’s the same the next day, and the next. Eventually you find that it’s impossible to eat healthily and decide to pack in your diet. Ultimately, it’s poor nutrition changes that can ruin a weight loss diet. You can out-train a bad diet… but it’s very, very difficult. You’ll really see the difference with a calorie-controlled, nutritious meal plan. Having to rely on foods from restaurants or gas stations makes it much harder to track your food intake. At home though, you know exactly what’s going in each meal. Research shows that out-of-home eating results in significantly lower success rates compared to meal prep at home. For many, planning is a real issue. And chances are it’s the same for you – maybe that’s why you’re here. But we have the answer you’ve been looking for… how to meal prep for weight loss. Key Point: Preparation is the key to a successful weight loss journey. Proper planning prevents poor results. Good meal prep is all about, well, preparation. With the right planning you’ll maximize productivity and give yourself the best opportunity to make this work. The type of containers you use is up to you. Basic plastic containers work wonders. 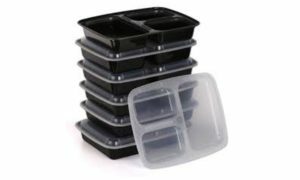 Or you can pay a little more and get containers specifically designed for meal prep that allow you to split each part of your meal into a separate container. One frustrating part of traditional meal prepping is that you’d have to either eat your food cold or dump it onto a plate to warm up. Some more modern containers though are microwaveable too, making warming up your food much easier. 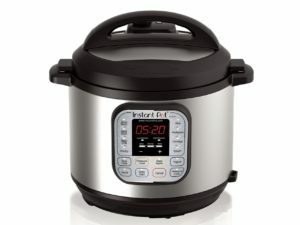 It’s worth investing in a slow cooker if you don’t already have one. Not only do the larger ones allow you to cook multiple meals in one go, they’re also easy to use and very time saving. You literally throw everything into the pot, turn on the heat and leave it overnight. #2. What’re your calorie requirements? Many women find that meal prepping is a great opportunity to use calorie tracking to optimize portion sizes and calorie intake. It takes the guess work out of reading every food label you come across and improves your chances of healthy weight loss. 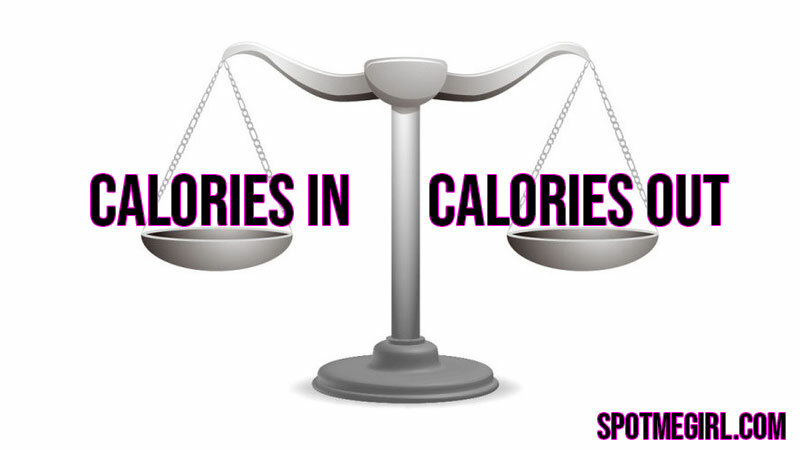 You may not know this, but calorie intake is what makes or breaks a diet. If you don’t achieve what’s called negative energy balance you can’t trigger the use of stored fat as fuel. If you’re unsure how to calculate your calories you can use an online calculator. The best one we’ve found is here at Instant Knockout (it’s part of a great article on fat loss too). Measuring cups and scales are useful if you’re tracking calories. They allow you to gauge exactly what your calorie intake is and what your daily ‘allowance’ is by measuring the foods you eat more objectively. Weighing food is a simple way of working out exactly how much you can eat each day and what your optimal intake is for a smooth weight loss journey. Note: You don’t HAVE to track calories when meal prepping. It just helps to keep your eating plan more objective and targeted is all. 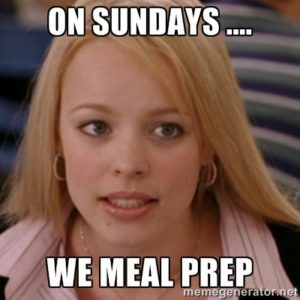 There’re no hard and fast rules when it comes to how to meal prep for losing weight. Working within your own comfort zone is what it’s all about. For example, plan the meals you would like to prepare and how you’re going to go about cooking them. Get some recipe ideas to get you started to make things easier too. It’s worth starting with 2-3 meals to begin with. And building up from there. That way you won’t overwhelm yourself or ‘bite off more than you can chew’ (sorry girls, couldn’t help ourselves with that one). Once you’re a more experienced meal prepper you can start to cook up a full week meal at a time – maybe even more if you’re freezing portion to be used further down the line. Choose a specific day to prepare your meals. That way you can plan your recipes and get your fresh ingredients organized in advance. Multitask! Cook foods that take longest first. If you’re not using a slow cooker and preparing different foods, try and time your prep so you’re more efficient. Focus on getting wholegrain brown rice and pastas bubbling away first for example. And while they’re cooking away, prep your meats and vegetables. Once they’re all cooking you can prepare a salad or fruit bowl ready to split up into individual portions. Remember – you’re cooking for multiple portions so don’t be afraid to make too much. Most foods can be frozen or stored anyway if you end up with too much. Key Point: Getting the right tools for the job and planning recipes in advance makes learning how to meal prep for weight loss much easier. Ultimately, a good meal for weight loss is one that’s catered to your own calorie requirements. The meal prep ideas below are just an idea to get you going. The key is to go for maximum nutrition in as few calories as you can. That way you know you’re halfway there already. These recipes are fresh, healthy, easy to prepare, won’t cost the world and can easily be stored until the time comes to devour their nutrient-filled, tasty goodness. You can also learn more about protein-based snacks in our article on 5 High-Protein Snack Recipes. This recipe is high in protein and veggie goodness to give you a high-energy kick and a power-packed vitamin punch. Mix it with rice, wraps or low-cal tacos for maximum effect. Once the meat has been browned in a pan with some oil, throw in a slow cooker together with all of the other ingredients. Give it a quick mix. 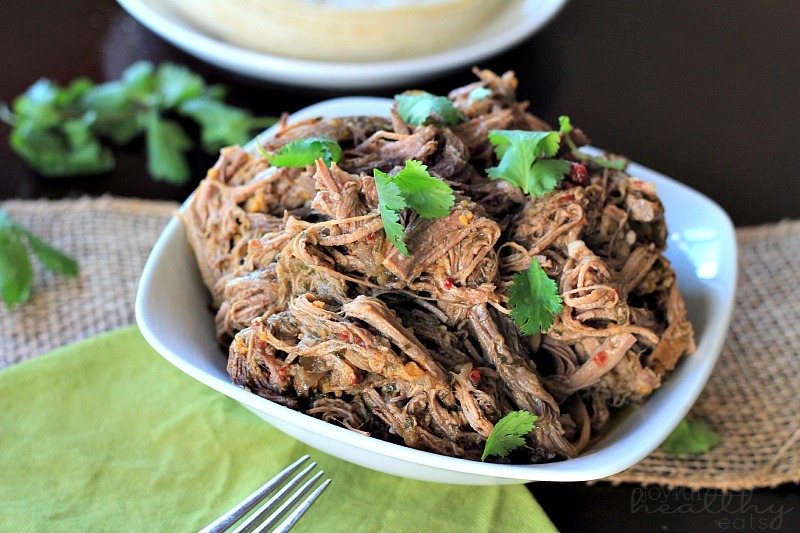 Pop the lid on the slow cooker, turn up the heat to medium and leave to cook for 6-8 hours. No need to stir or check on it. It’ll mix itself. Place in containers once cooled. Serve with rice or wraps and throw in some guacamole, sour cream dip or lime for taste. 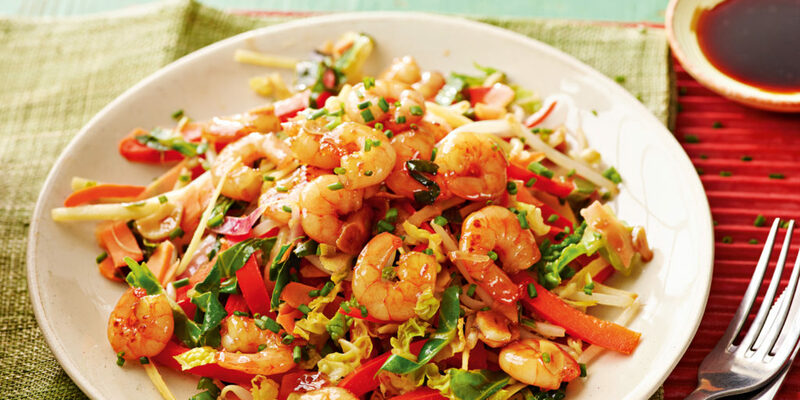 This tasty but easy-to-prepare meal is as versatile as it is colorful. Use egg noodles for an extra protein hit or thrown in some extra veggies to maximize nutrient value. Super fast and super tasty too, this tangy alternative to boring ‘chicken, rice and broccoli’ is a fantastic energy meal or post-workout snack. Add the ingredients for the marinade together in a bowl. Throw in the chicken and make sure it’s properly coated. 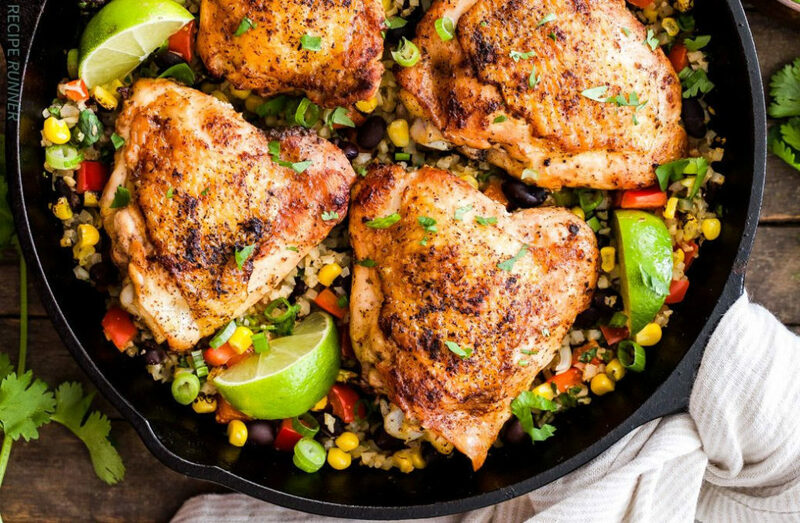 Boil up the rice and once cooked, throw that, and the chicken again in the same pan. If you follow a plant-based diet and want to prep your way to a quick, simple and great-tasting meal… look no further than these high-fiber, easy-to-make veggie bowls. Preheat your oven to 400 degrees F (205 degrees C) and place the sweet potato and onion on an oiled baking tray. Drizzle in olive oil to help it crisp up. Cook for 10 minutes before throwing the broccoli on the same tray (oil the broccoli too). Cook for a further 10 minutes. While this is cooking, throw the seasonings over the chickpeas and saute over a medium heat until golden brown. We’ve given you a LOT to think about in this article. But in the long run it’s far easier trying to prep for weight loss on a daily basis. But we’re confident that with a little planning in advance, you’ll use meal prepping to sail to a healthy body weight and a trimmer, more confident outlook. It’s all about preparation girl, so give it all you’ve got and you’ll soon see the rewards.